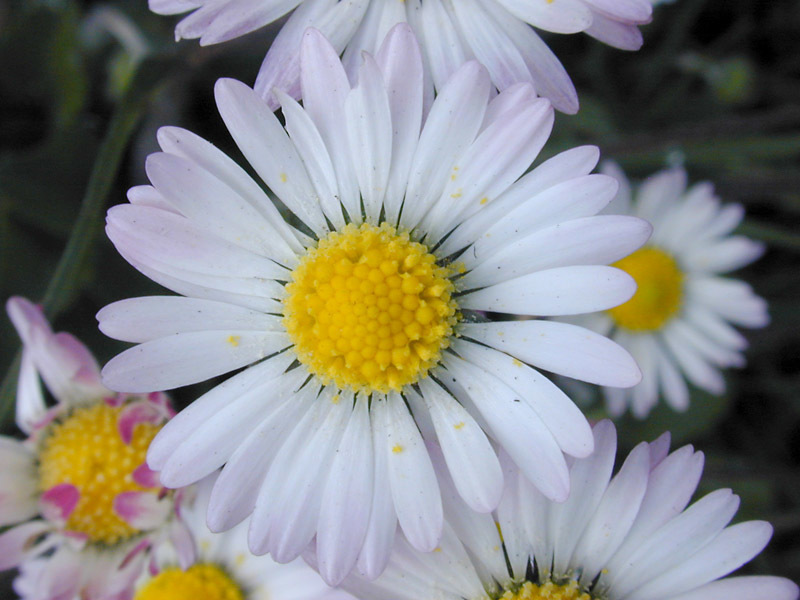 Bellis perennis (English Daisy) is a herbaceous species of plant in the family Asteraceae, with a self-supporting growth habit. It is a photoautotroph. Definition: Seed dispersal by external animal transport (= exozoochory).